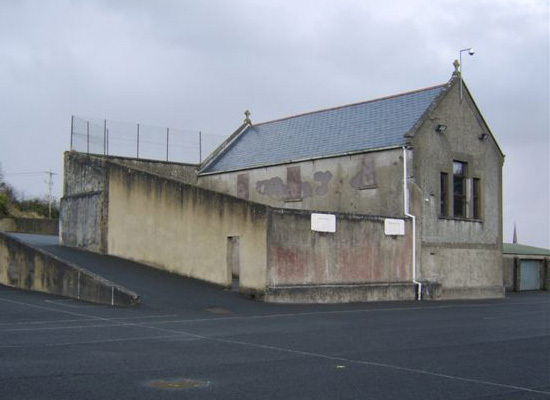 Some photos of Irish handball alleys taken from a research blog devoted to cataloguing them and studying their histories. They're not something we were specifically searching for. In fact, we can't now remember how we came upon them, but we're glad we did. Somehow, in all that time-devouring sonic cloud of nighttime mouse clicks, we managed to discover something marvelous. 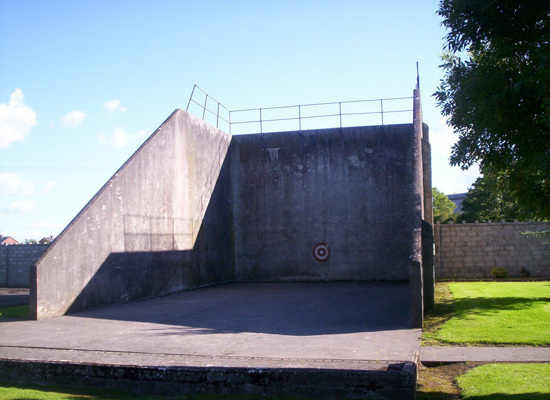 The handball alley was built wherever a site was available, on parish or donated private lands, institutional lands, and often attached to lime kilns and religious ruins. 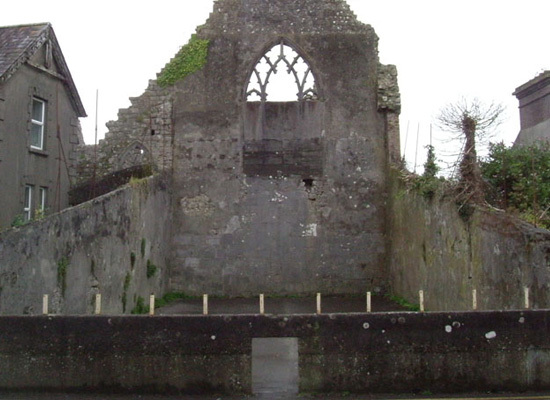 The later 60x30 feet alley tended to be free standing and typically unroofed. 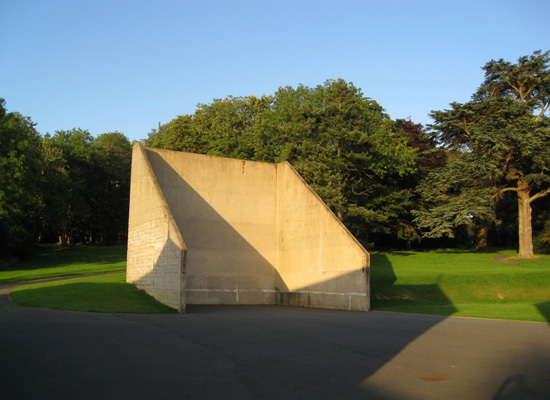 Referred to as the ‘big’ alley, this form seems to be indigenous to Ireland and continued to be built until the introduction of the international 40x20 feet standard in 1969. These alleys now dot the landscape. 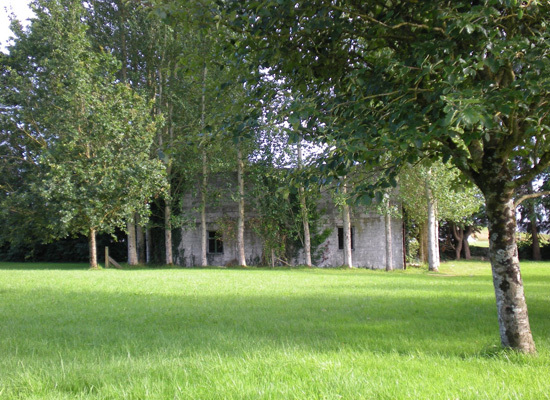 In the countryside, freestanding alleys appear like the remnants of houses and buildings abandoned by emigrants to the New World and subsequently truncated wall by wall in the years and decades ahead by those left behind: a Brutalist void-sculpture commemorating the lost generation and a nostalgic reminder of a mythic happier time before the diaspora. In cases where they are attached to buildings, they look like the remains of a former church, specifically its jutting buttressed walls, a victim of Henry VIII's Catholic pogroms, now ivy covered. 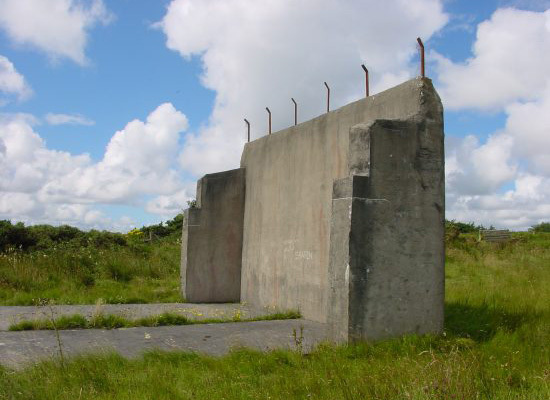 Or they look like blast protection walls of an abandoned military base, a magnet for explorers of post-industrial landscapes. Or a fake ruin in a folly garden. Of course, many are actually true ruins, overgrown with shrubbery, disintegrating and inundated by the earth. Things only get more interesting in urban areas where many of the alleys seem to have been absorbed, or accidentally adaptively reused, as the city grew around them. That side of that building or that wall or that parking lot or that space sculpted by three buildings in the back — all are actually the artifacts of codified game-spaces. Strikingly devoid of decoration, these alleys now adorn façades as archaeological ornaments.